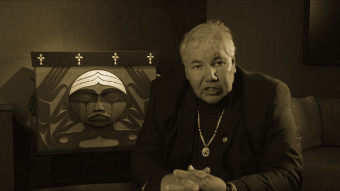 In the following interview, Justice Murray Sinclair speaks about his role as Chair and Head of the Truth and Reconciliation Commission of Canada (TRC) and what the history of the residential schools means not only to Aboriginal peoples but also for Canada as a country. One of the important tasks of the TRC is to provide a space for survivors to feel that they are being listened to in a serious way and that their stories are recorded so that future generations can understand the legacies of the tragic events surrounding the residential schools system in Canada. Another is to assist the public in understanding the “implications” of the residential schools for the “the relationship that exist between Aboriginal and non-Aboriginal peoples”. The mandate of the TRC is first to identify the truth of the history of what occurred at the residential schools system in Canada. The commission must also write at the end of its term a final report that provides the “complete history of the schools”, that is, “how they were established”, “why they were established”, “how they were run”, “why things happened in the schools”, and “what were the implications of those who went to the schools and those that worked at the schools”. Second, it must assist those who attended the residential schools and their communities, and engage in the process of reconciliation between non-Aboriginal and Aboriginal peoples, and also reconciliation within and amongst Aboriginal communities and inter-generations. The intergenerational impacts of the residential schools are “an important part of the discussion when we talk about the legacy”, indeed, because those affected by intergenerational effects, notes Justice Sinclair, “are the ones that will be left with the responsibility to continue the dialogue of reconciliation in the future”. This is why the “creation a national memory” of the residential schools history, the recording of the stories of the survivors and the archiving of government and church documentation into a national research center are equally important steps in attaining the truth and achieving reconciliation. We must also, however, recognize that the residential schools experience did not exclusively affect Aboriginal children and communities but also “permeated the Canadian curriculum” about Aboriginal culture — being taught as meaningless and irrelevant, thus contributing to not only racism but misunderstanding. This story of Canada’s past is not only a source of national shame but is also something that Canada can take corrective measure. This perhaps beings with the question of genocide. Justice Sinclair argues that the term genocide as defined by the United Nations Convention on Genocide includes “the forcible removal of children from one racial population to be assimilated against their will into another racial population” (Article 2.e). Indeed, Justice Sinclair says, the “forcible annihilation of children of one race by another race is an act of genocide”. Government documentation retrieved by the TRC admits that “the purpose of the residential schools was to kill the Indian in the child”. Click here for the Truth and Reconciliation Commission of Canada website.